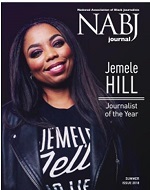 On Thursday, January 27, 2011, the National Association of Black Journalists (NABJ) inducted five legendary journalists into its Hall of Fame, the organization’s highest honor, and presented the Ida B. Wells Award, the annual honor highlighting the achievement of a media executive who has demonstrated a commitment to diversifying the nation's newsrooms, at the Newseum in Washington, DC. The event was hosted by MSNBC’sTamron Hall, host of News Nation. 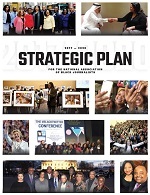 The star-powered event included guests such as Senior Advisor to President Obama, Valerie Jarrett, MSNBC’s Andrea Mitchell, President of NBC News Steve Capus, members of Congress, and many others. The event’s theme, Honoring the Past, Building the Future,celebrated achievements of the late Ed Bradley, Merri Dee, JC Hayward, Eugene Robinson, Ray Taliaferro, and Walterene Swanston. The program also recognized the event’s Honorary Chairman John Seigenthaler, the Newseum’s Vice President for programs Jack Marsh and included introductory announcements of NABJ’s newest Fellowship awards. Funds raised from the Hall of Fame Gala will be used to provide scholarships, fellowships, and internships for aspiring journalists.